← What’s for dinner tonight? 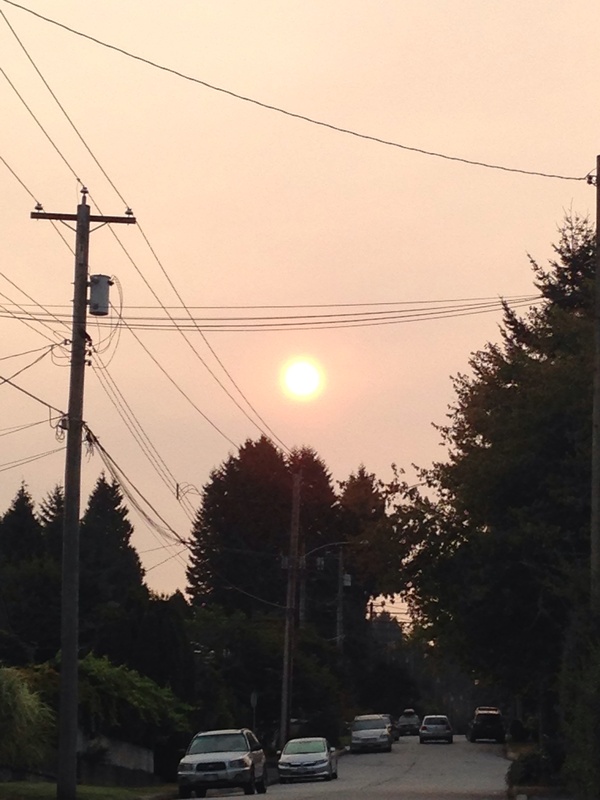 Today’s morning sun was such a surreal sight. I was stupidly trying to stare at it to understand it better but, because of the haze, the sun was being magnified and it was hurting my eyes to figure the freaky thing out! Quite pretty though. 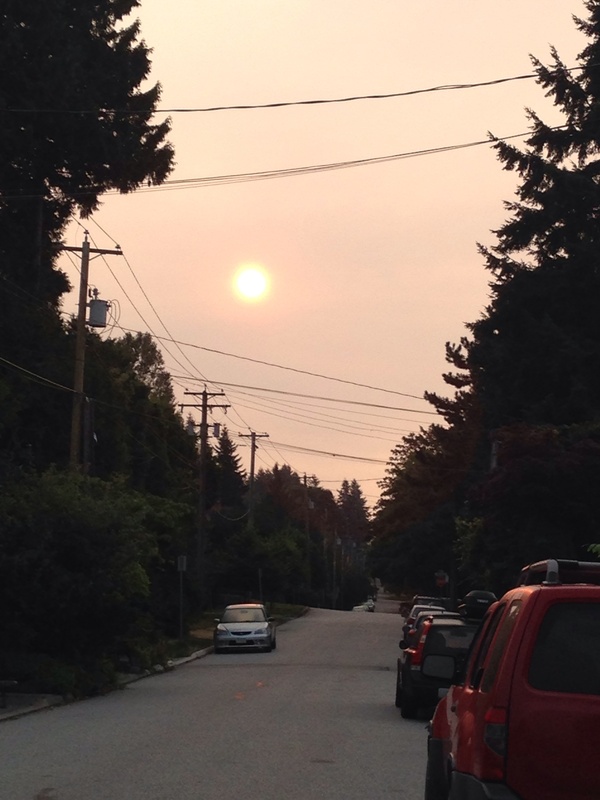 This entry was posted in every day life and tagged hazy skies, morning sun photos, North Vancouver. Bookmark the permalink.